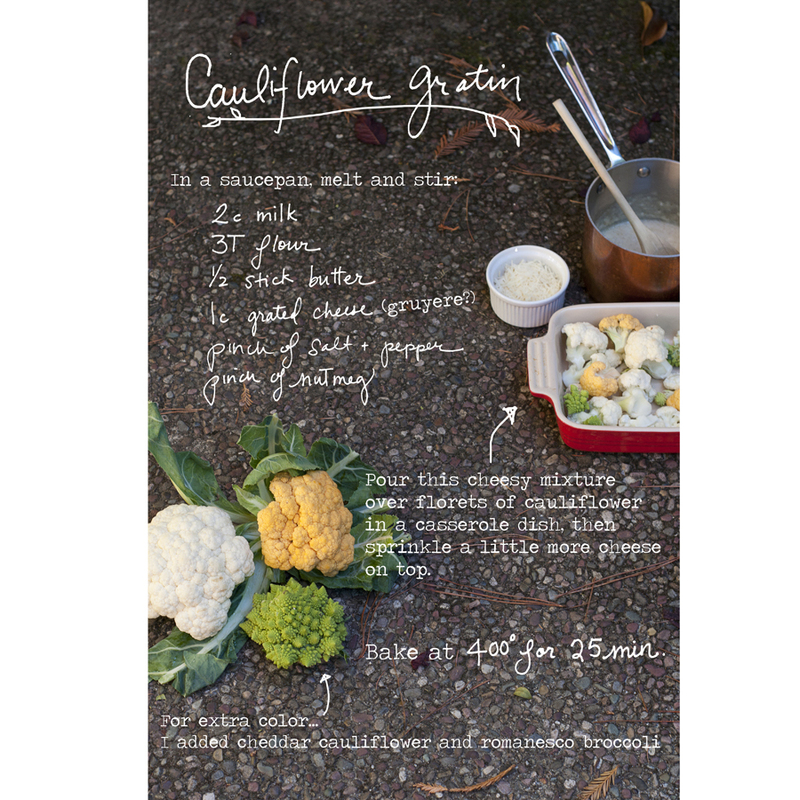 Using cauliflower instead of potatoes in a gratin is a little lighter and just as tasty. You can use any cheese you have on hand (gruyere, parmesan, sharp white cheddar, jack…). 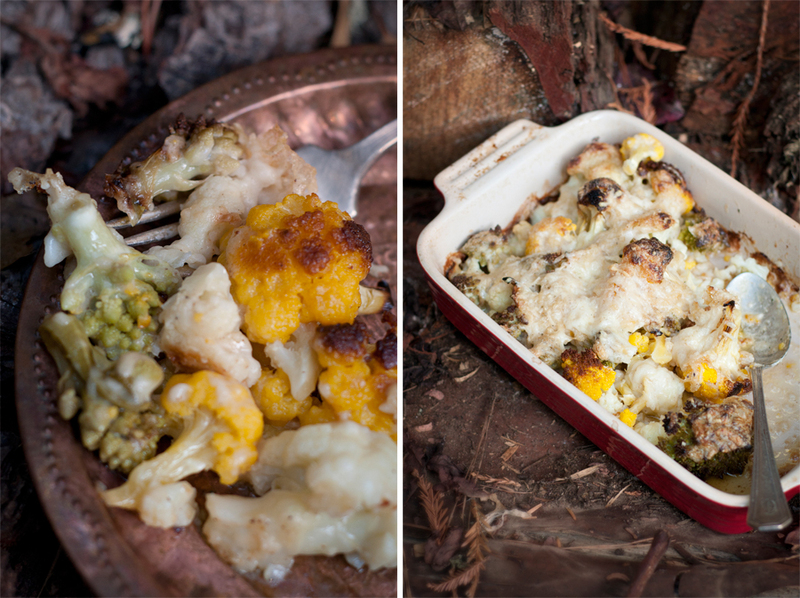 The nutmeg adds a cozy wintery feeling.This is great as a main course or side dish!